We reported last week that a German parts catalog ran out of current-model iPod nanos from Apple and told its customers to wait for refreshed models in late September. That is, of course, the rumored time frame of Apple’s next iPhone announcement and launch. iPod nanos are more than overdue for a refresh and we are thinking —with Apple moving away from its 30-pin dock connector— that is at least one bit that needs an update. 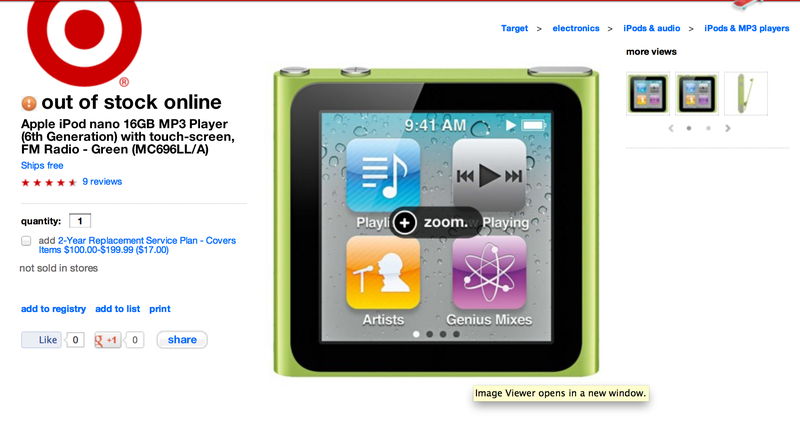 Other rumors pointed to Bluetooth connectivity, as it could extend the usefulness of the iPod nano greatly and make a more interesting iWatch-type product. Today, we have seen stock shortages also hit Amazon, Target, Walmart, and Bust Buy—the four biggest electronics retailers in the United States. 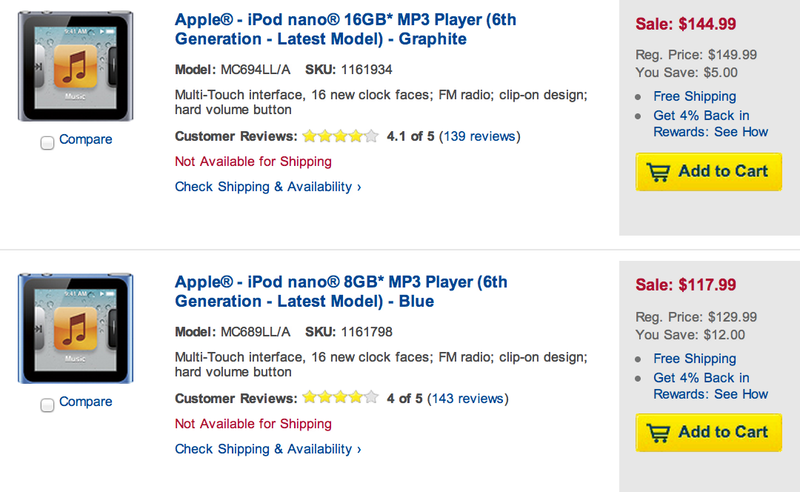 Walmart only offers a few models in stock, and it is noticeably missing the orange 8GB version.